Seadrift Offshore (Seadrift) delivers simple to maintain and operate tether management systems (TMS) and launch and recovery systems (LARS) for the offshore industry. Seadrift designs a series of LARS systems using the most durable and cost-effective materials. Designed and built according to DNV standard 2.22 for lifting appliances, they are reliable, safe, and easy to construct / operate, and need minimal maintenance in the field. The company’s standard Goliath LARS systems are also available with bespoke components upon the client’s request, such as larger working envelopes, passive damping and complemented with construction and survey modes. Seadrift specialises in the design, manufacture, supply and service of ‘Top Hat’ TMS, which are built to be safe, reliable and simple to operate. Seadrift’s TMS designs have also been developed to provide longer excursions distances and become increasingly compact. The twin-latching system enables safe operational control during tether launch and recovery, and all parts are easy to install and maintain. Each design incorporates a constant tension system and a unique, fleeting vertical-to-horizontal sheave system (VHSS), which extends tether life and enables long-term cable recovery. 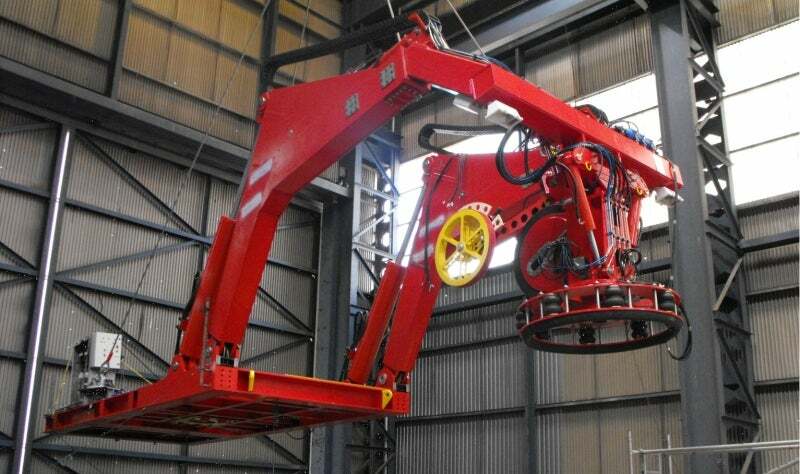 Seadrift supplies a range of operator-controlled and fail-safe systems, which can be easily deployed to safely recover a remotely operated vehicle (ROV) and TMS and are manufactured in conjunction with any design of termination socket. They are simple-to-install and are produced from 316L stainless-steel. Other materials are available on request. Made from fully machined billet, Seadrift’s range of 17-4-PH robust termination sockets ensure integrity and longevity in adverse offshore environments. Seadrift accurately measures and records umbilical breaking forces and elongation using portable, programmable logic controller (PLC) operated tensile test equipment for safe and consistent results. The company safely and consistently measures the cable elongation and breaking force via a hard-wired pendant. Data is automatically retained and can be exported to assist clients to help determine the lifespan of an umbilical, enabling the scheduling of global operations. The software creates a performance history database, which supplies details on cable life. The 100Te SWL 20 container has a diesel generator to provide power in remote locations and can be used on a variety of umbilical sizes. Seadrift employs a skilled and experienced design team that supplies innovative solutions within the oil and gas industry. Having had extensive field experience, the team has gained a thorough knowledge of end-user requirements. Formed in 2003, Seadrift Offshore initially repairs and refurbishes LARS on offshore oil and gas installations in West Africa. The company has a strong track record with a commitment on innovation and problem solving, which is clearly demonstrated with the introduction of umbilical and tether latching tools and termination sockets. Seadrift can also assist clients with system installation and offers a 24-month parts and labour warranty.